Have I convinced you to give the layouts class a try? How about tempting you with another adorable layout? 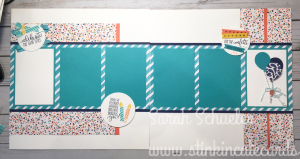 This was the double page layout from the class last week. I have a HUGE stash of retired Designer Series paper from years gone by and it was so gratifying to use up almost the entire pack of DSP. 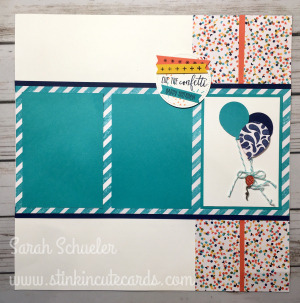 I used the old Birthday Bash paper and I think my scrappers were also excited about these pages. 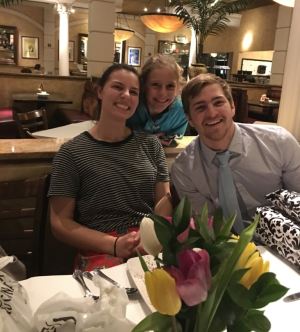 We celebrated Adria's 21st Birthday last week and since she's doing her internship in Chicago and was only home for a quick visit that weekend it had to be a quick dinner out with some special friends. 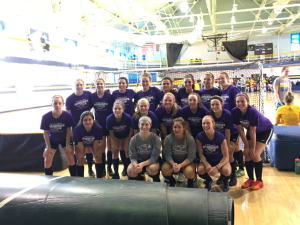 Ok, maybe the fact that she also had a futsal tournament in Milwaukee for UW-Whitewater and I was on a 4th day of a 4 day, 3rd shift stretch may have had a little to do with it too…but hey, I gave up my cape and Wonder Woman Belt some time ago. 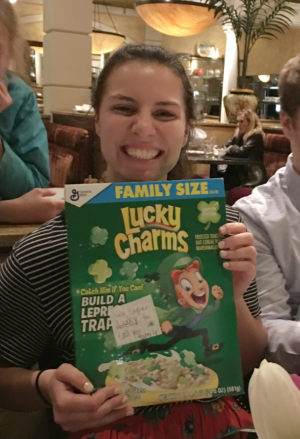 Ella thought Adria needed some of her favorite cereal and she had tagged it with a cute little saying about we are so "lucky" to have her in our family. Ella's Love Language is definitely "gifts." So these are a few of the photos (ok, not the soccer one for this page but I wanted to share the photo here anyway) that I will be adding to this page. 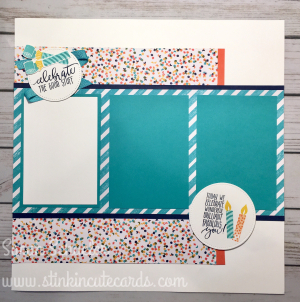 Slam Dunk…sweet page completed…just like that! Seriously I can't imagine why anyone WOULDNT want to come to these classes! :) Mark your calendars for next Thursday, March 22nd for the NEXT class. It's seriously fun!